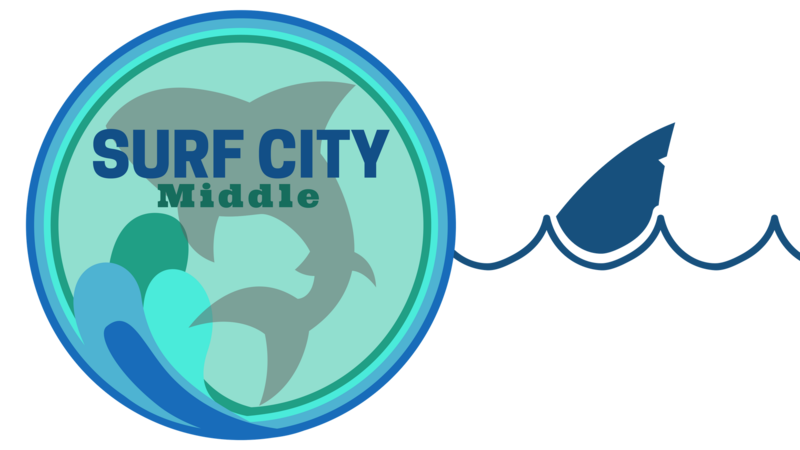 Dr. Romero-Lehrer, currently the principal at Topsail Middle School, has been named principal of Surf City Middle School. She recently earned a doctorate in Educational Leadership from East Carolina University and holds a bachelor’s degree from the University of New Mexico and a master’s degree from Lesley University. Dr. Romero-Lehrer brings 37 years of experience working in education to Surf City Middle School, 23 of which have been as a building administrator. Gregory Batts is currently teaching Physical Education at Topsail Middle School. He brings 14 years of teaching experience to Surf City Middle School. Ereka Botkin is currently teaching sixth grade English/Language Arts at Topsail Middle School. She brings 15 years of teaching experience to Surf City Middle School. Samantha Carradori is currently teaching eighth grade English/Language Arts at Topsail Middle School. She brings two years of teaching experience to Surf City Middle School. Mary Doane is currently teaching seventh grade Math at Topsail Middle School. She brings four years of teaching experience to Surf City Middle School. Annette Donahue is currently teaching seventh grade Science at Topsail Middle School. She brings 10 years of teaching experience to Surf City Middle School. Gwendolyn Ennis is currently teaching sixth grade English/Language Arts and Social Studies at Topsail Middle School. She brings 18 years of teaching experience to Surf City Middle School. Deborah Farmer is currently teaching sixth grade Math at Topsail Middle School. She brings seven years of teaching experience to Surf City Middle School. Heather Fennell is currently teaching sixth grade Science at Topsail Middle School. She brings 17 years of teaching experience to Surf City Middle School. Melissa Gallagher is currently teaching sixth grade Science at Topsail Middle School. She brings six years of teaching experience to Surf City Middle School. Michael Hackett is currently teaching Career and Technical Education at Topsail Middle School. He brings 14 years of teaching experience to Surf City Middle School. Scott Horner is currently teaching eighth grade Social Studies at Topsail Middle School. He brings one year of teaching experience to Surf City Middle School. Sherry Hughes is currently teaching eighth grade English/Language Arts at Topsail Middle School. She brings 12 years of teaching experience to Surf City Middle School. Andrea Jones is currently teaching third grade at North Topsail Elementary School. She brings 10 years of teaching experience to Surf City Middle School. Dana King is currently teaching Art at Topsail Middle School. She brings 14 years of teaching experience to Surf City Middle School. Wendi Kittlaus is currently teaching Music at Topsail Middle School. She brings 17 years of teaching experience to Surf City Middle School. Dean Loher is currently teaching seventh and eighth grade Math at Topsail Middle School. He brings 12 years of teaching experience to Surf City Middle School. Andrew Maxwell is currently teaching Career and Technical Education at Topsail Middle School. He brings 10 years of teaching experience to Surf City Middle School. Tamar Myrka is currently serving as the receptionist at Topsail Middle School. She brings six years of experience to Surf City Middle School, where she will serve as Data Manager. Karen Parker is currently teaching sixth grade Math and Science at Topsail Middle School. She brings 14 years of teaching experience to Surf City Middle School. Tammy Reeves is currently teaching seventh grade English/Language Arts at Topsail Middle School. She brings 18 years of teaching experience to Surf City Middle School. Rachel Sappenfield is currently teaching Math and Science at Topsail Middle School. She brings one year of teaching experience to Surf CIty Middle School. Angela Schmitz is currently teaching sixth grade English/Language Arts and Social Studies at Topsail Middle School. She brings 22 years of teaching experience to Surf City Middle School. Velvet Scoggin is currently teaching seventh grade Math at Topsail Middle School. She brings 11 years of teaching experience to Surf City Middle School. Brandi Stettler is currently teaching eighth grade Math at Topsail Middle School. She brings 13 years of teaching experience to Surf City Middle School. William Tayloe is currently teaching seventh grade Science at Topsail Middle School. He brings eight years of teaching experience to Surf City Middle School. Mary Tobin is currently the media specialist at Topsail Middle School. She brings four years of experience to Surf City Middle School. Mary Utt is currently a counselor at Topsail Middle School. She brings 24 years of experience to Surf City Middle School. Daniel Walsh is currently teaching seventh grade Social Studies at Topsail Middle School. He brings four years of teaching experience to Surf City Middle School. April Watson is currently serving as the Treasurer at Topsail Middle School. She brings 22 years of experience to Surf City Middle School. Wanda Williams is currently teaching Career and Technical Education at Topsail Middle School. She brings 25 years of teaching experience to Surf City Middle School.